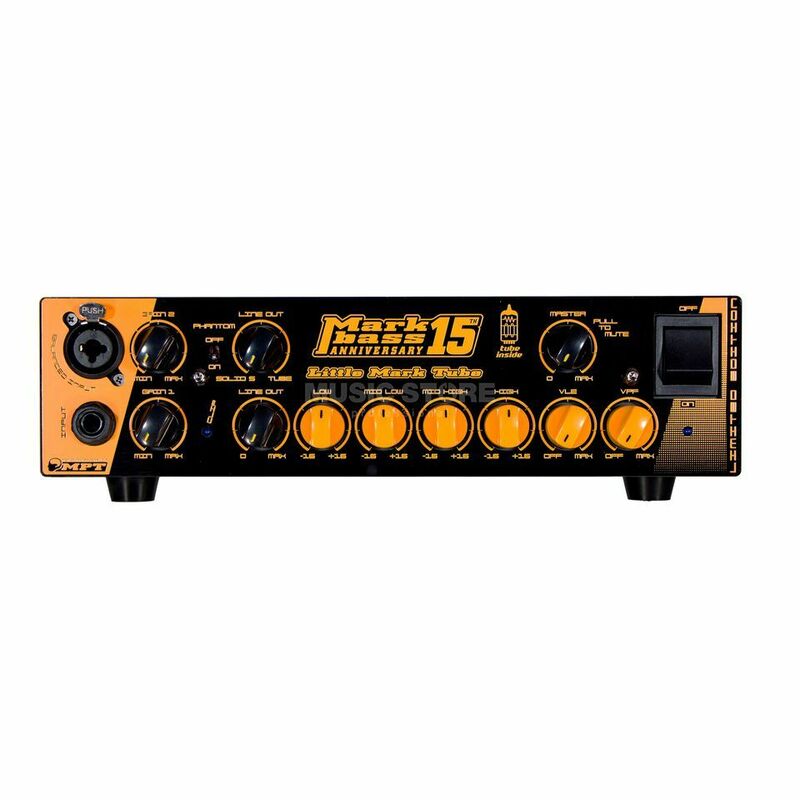 The Markbass Little Mark Tube 15th Anniversary Bass Amplifier Head is a 15th anniversary edition of one of Markbass's most iconic bass amplifier heads. This head offers a power output of 500W at 4 Ohm or 300W at 8 Ohm with controls including two gains, mix, master volume, line out level, ground lift, pre/post EQ and mute. With a powerful Class D power amp, the compact bass amplifier features the VLE (Vintage Loudspeaker Emulator) and VPF (Variable Preshape Filter) controls for Markbass amplifiers, which have a huge influence on the sound characteristics. In addition, a balanced line output with pre/post switch is included.